Anyone who wants to study psychology at the University of Zurich (UZH), has to undergo a packed program with a year-round average of 40 hours per week or sometimes even 60-70 hours during the lecture period – and this within the confines of a public university where there is neither integration nor support of the sports system or athlete’s commitments. This sets a pretty tough schedule for athletes like David where competitive sport training often depends on free space and individual design of the study course, and where training starts to amount to a full time job. “In fact the first year at the UZH in psychology is a screening year. Virtually, they want to clear out every second student. That’s what here is called the assessment year“, David explains. To better meet this selection procedure in the dual task of competitive sports and university studies, David already has started as a guest student this spring term, one semester before the official onset of his studies, and has already been working for the foreseeable examination hurdles. “After the assessment year a part-time study with a stretched curriculum will probably be the solution for my time problems,” he says. “Already now, during the guest semester, I have to construct my training around the curriculum at the university. There is no other way”, David notes. He trains seven or eight times a week, each about 3 hours, and he also spends weekend time on national team trainings, at competitions or on the rock. This comes along with additional antagonist training and stretching on two active rest days a week. It also happens during the lecture period that David has to go abroad for international competitions. However, for the assessment year he intends to stay within the time frame of his university. 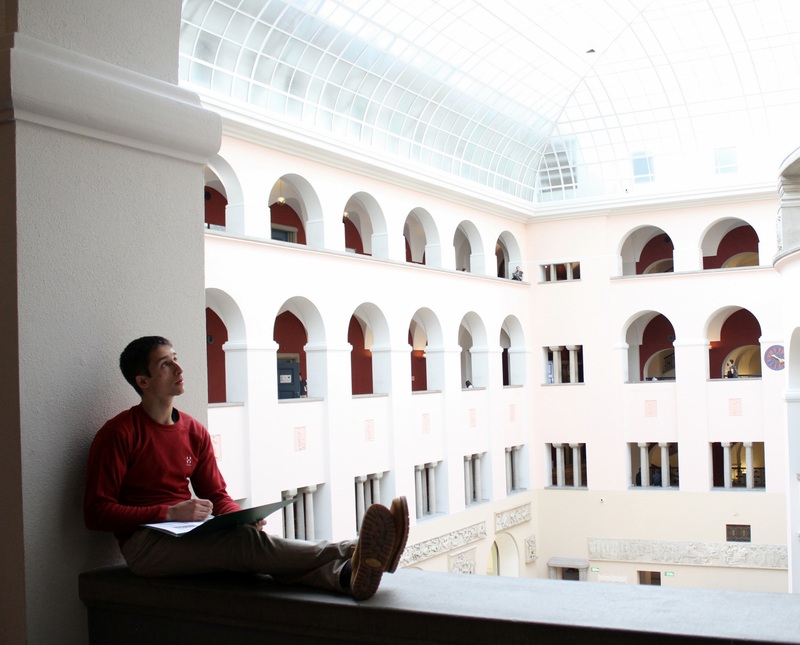 “At the UZH I have the advantage that the lectures are uploaded in the intranet and it quickly becomes clear what I need to rework,” David says. Lectures aside, however, there are also seminars and other sessions, the material for which isn’t as easy to access. Additionally David doesn’t always get support from the staff. “There are sometimes acceptance problems on the faculty side. As an athlete, I don’t always get the necessary understanding from teachers for this double load I have”. David’s strategy for dealing with this is to network as widely as possible with other students, to exchange lecture transcripts and material, to jointly cope better with the large amount of learning materials, documentation and tasks set. “Since I prefer Zurich as my training site for quality reasons, I have to arrange myself with the situation at the UZH. I cannot, without making significant concessions to my training, switch to another or even to a private university, where I perhaps would be treated more like a real customer”, David explains. He sees it, at least partially, as a challenge to raise awareness in the faculty and to contribute to a better understanding for the circumstances of elite athletes. “Sure, it’s way of stress to accommodate university and competitive sports. But I have targeted my studies as well as to increase my climbing achievements. And so I have to grit my teeth sometimes and just to go through”, David states. According to him, clearly, he will not be earning top grades with his brutal schedule, but, in the end, solid grades will also do. It was already the same during my time at high school, when I at least was able to skip the 10th grade for an exchange year at Innsbruck in Austria and finally to achieve my university entrance diploma, too”, he reports. 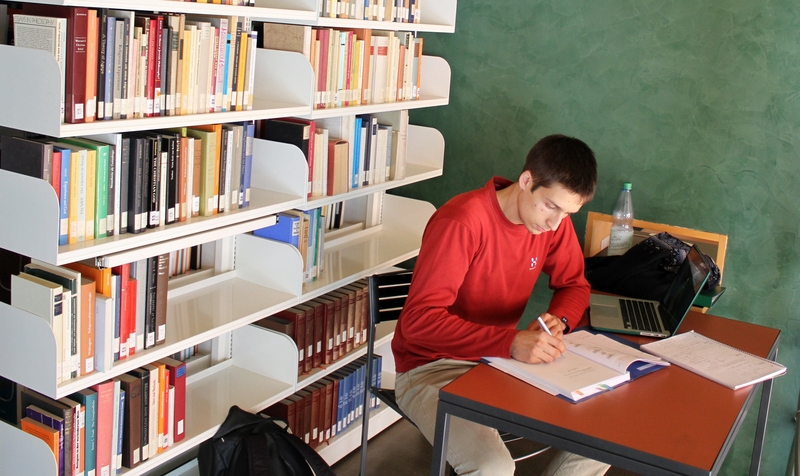 Admission to study courses like psychology is restricted in Switzerland and in Germany. In David’s case as a German citizen, an admission first to study this subject at a German university is needed for being admitted at the UZH. “I benefit from an agreement that has been negotiated between the University Sports Federation and some universities in Germany”, David explains. This agreement allows some compensation for top athletes in the internal university selection procedure of students. Thus, an admission at the UZH became possible. In 2014, a dispute with the students’ sport support system in Germany appeared in book form. Ben Bendrich, a former German national basketball player, published his doctoral thesis “Students’ elite sports between resignation, myth and breakup – a study on dual careers in Germany and the United States”. Bendrich concluded that the promotion of sports works better at the universities in the United States. He opined that the contracts between the University Sports Federation and the universities in Germany were laudable, but not specific enough and often not widely known or understood by the lecturers at the universities. And for David, of course, they are not applicable in Switzerland. “But in my case, these agreements at least have helped for my admission to study psychology. Unfortunately, as a foreigner not being part of the national coordination between the Swiss Olympic support system and the UZH, I am now supposed to find my own way of being included at least in a minimal way. Bendrich’s book makes me curious to go for an exchange year to a US university perhaps one day”, David comments. David and his family started climbing in Hannover in northern Germany, where he grew up, but since 2016, David and his younger brother Ruben, live in Zurich. “Training possibilities here simply are the best for us. Our coach, Dr. Urs Stöcker, is also the Swiss national coach and highly qualified. We get along very well together. The results are self-explanatory. After a rock oriented past year our performances in the World Cup this year are getting better again”, says the 21 years old. 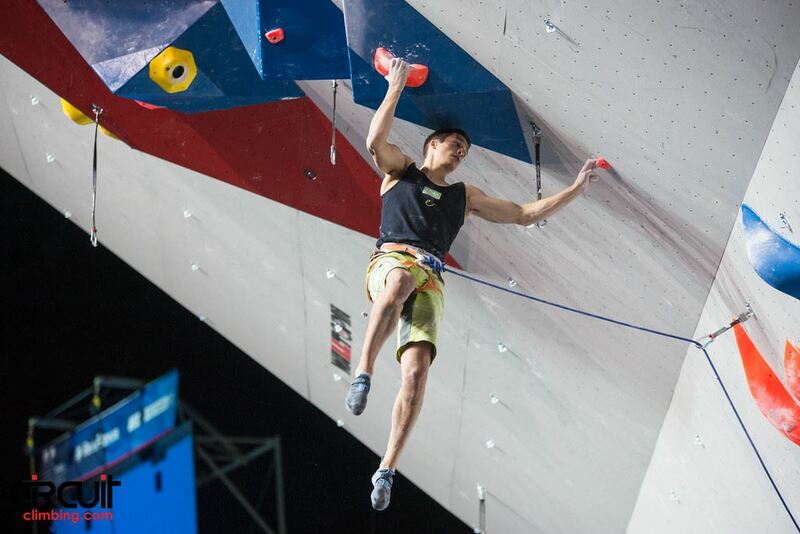 Recently David achieved semifinal and final placements in the Briancon Lead World Cup and the Munich Boulder World Cup, and is on track to become all-rounder who is strong in both bouldering and lead climbing and who can consistently perform at a top level at least one discipline in nearby future. “During my youth and junior time I was already several times German champion and also European champion and third in the World Championships. Even within the seniors I have already achieved several podiums in the German Lead and Boulder Championships, including a title”, David says. But despite these successes and some encouraging support from sponsors, David cannot live solely from climbing: his basic livelihood has to be supported by his family. “Without this, the whole thing wouldn’t work”, David asserts. 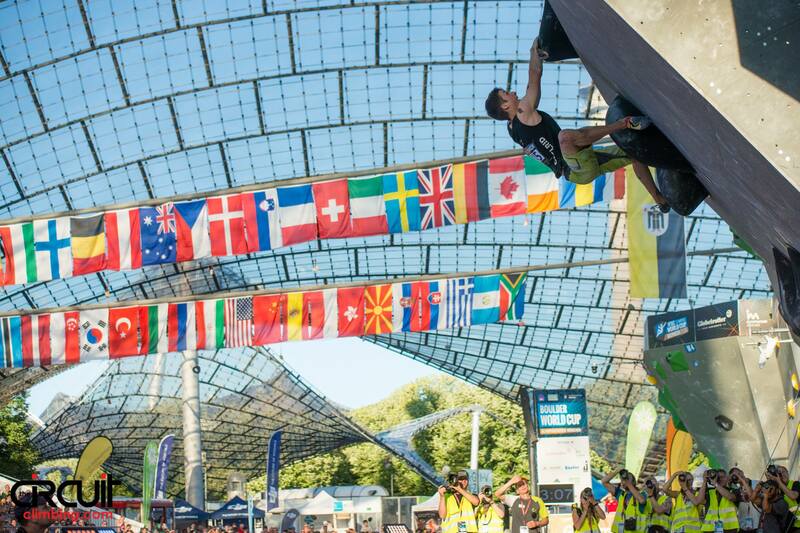 Traditionally there is only a weak support system for sport climbing in Germany. Where, for instance, elite athletes in other Olympic sports receive on average 626 Euros net per month by the German Sports Fund, climbers miss out. “We have to wait and see how effective a planned strengthening of competitive sports in the German Alpine Association will be, especially in view of Olympic’s 2020 at Tokyo”, David mentions. “Due to past experiences you not necessarily have to be optimistic. It is more way of a stolid affair. And if here essential things do not turn for the better, it will continue to be largely left to chance or heroic achievement of individual athletes and their families in Germany to perform at the highest international level”, David criticizes. Since David would not be able to live from climbing, a unilateral decision in favour of his sport would turn out to be at high risk. “The sport hero of today may be failing socially tomorrow”, he says. David does not want to end up as a vocational drop out some day because of having only concentrated on his sport before. “I have to ask myself whether it will be worthwhile to sacrifice my studies for top-level sports. In my situation it seems to be reasonable, to invest not only in my athletic career but also in my university education. I therefore have to tackle the problem of coping with the double burden”, David explains. The usual way of his older climbing colleagues in Germany is to abandon their sport career the sooner or later and to give priority to their vocational training. “This reasonable decision indeed affects our sport adversely, because like this a sustainable international competitiveness is not to be expected. Realistically I see my chances to participate in the Olympic Games in 2020 more as an outsider. But if I can maintain my joy of climbing and continue also to rely on my capabilities, it doesn’t seem impossible to me to have a chance of taking part at Tokyo”, David ends. 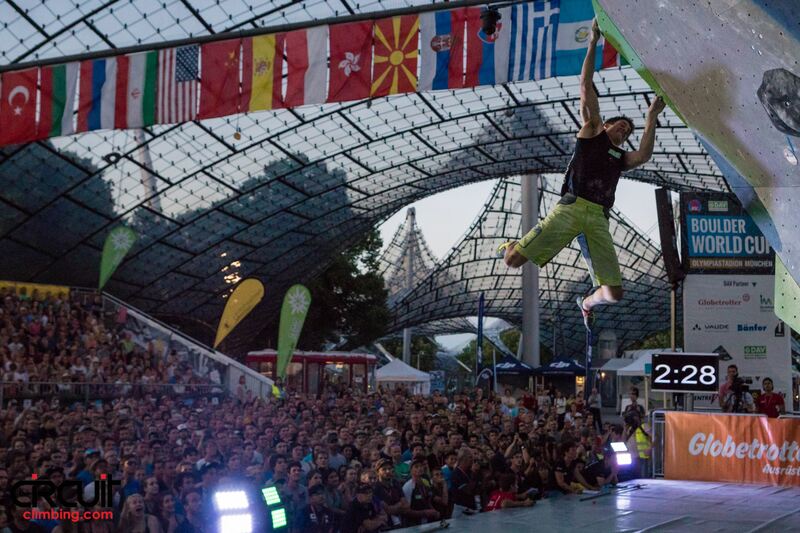 Dieser Eintrag wurde veröffentlicht in Allgemein und verschlagwortet mit 2020, ben bendrich, bouldering, bouldern, climbing, competition, dav, dav rheinland köln, david firnenburg, deutscher alpenverein, eddie fowke, escaladrome, firnenburgbrothers, friction labs, haglöfs, ifsc, Klettern, münchen, munich, olympia, olympics, paris, petzl, psychologie, psychology, rock climbing, ruben firnenburg, scarpa, schweiz, studies, studying, switzerland, the circuit climbing, tokio, tokyo, Training, universität, university, urs stöcker, uzh, wm, world championships, world cup, zurich von admin. Permanenter Link zum Eintrag.